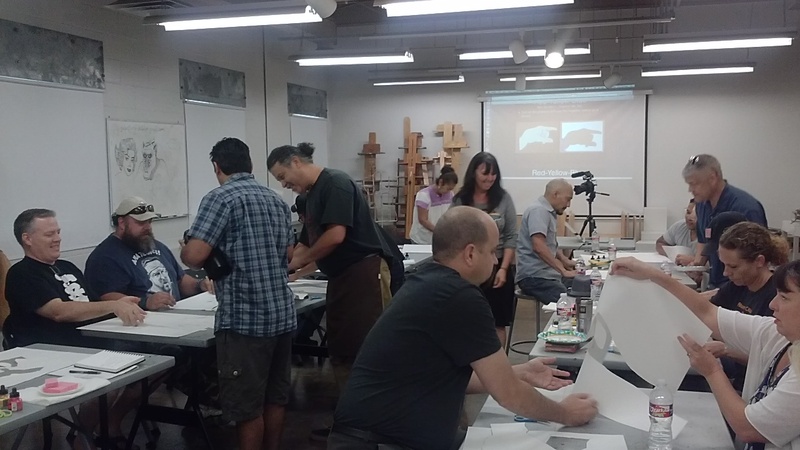 The City of San Antonio, The French Consulate in Houston, Southwest School of Art, McNay Art Museum, AMEDD Museum/JBSA Fort Sam Houston, San Antonio Foundation, Café Commerce, Blue Star Contemporary, Jerry’s Artarama and Art to the Third Power. 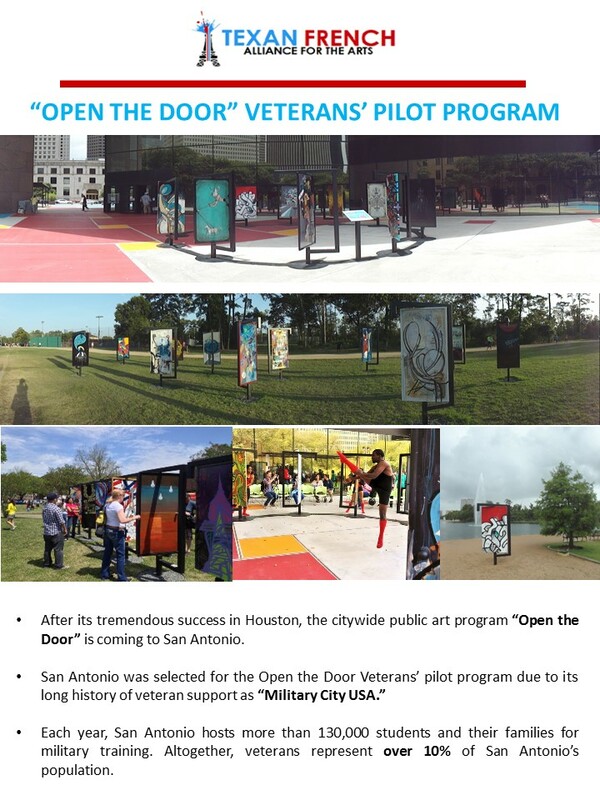 After its tremendous success in Houston, the citywide public art program “Open the Door” is coming to San Antonio. 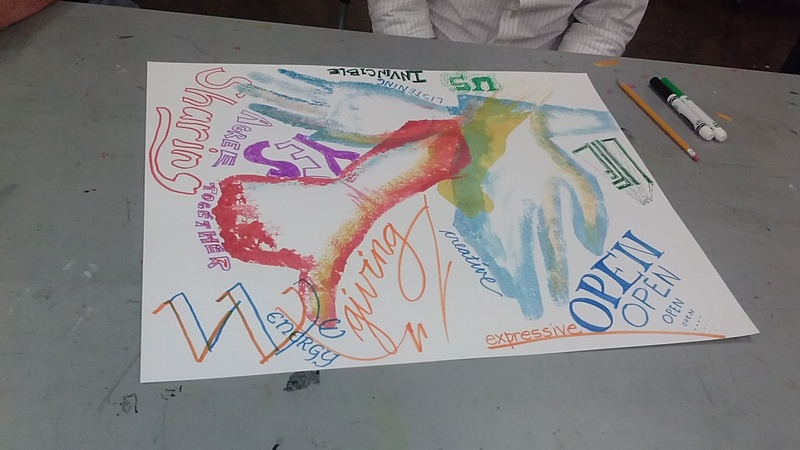 Each year, San Antonio hosts more than 130,000 students and their families for military training. Altogether, veterans represent over 10% of San Antonio’s population. 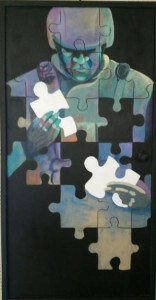 The door is a strong, universal symbol of transition and progression. 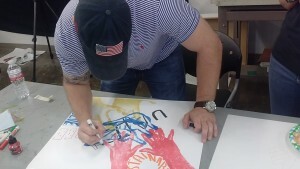 Our veterans experience significant transitions as they return from combat operations, as they resume the role of parent and spouse following a prolonged absence, and as they leave military service to return to a civilian lifestyle. 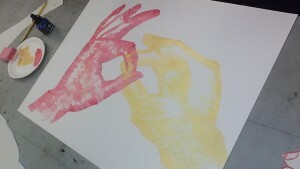 The Open the Door Veterans’ program uses art as a visual dialogue between veterans, local artists, and members of the community. 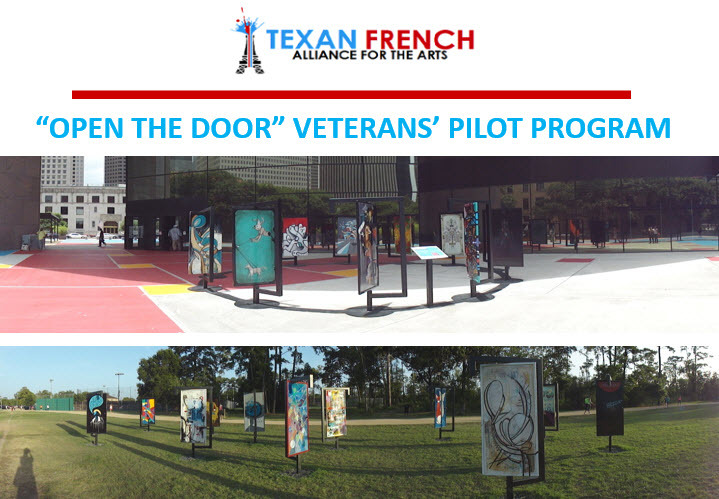 Installing the doors in public spaces enables the creation of a supportive network for veterans and expands their dialogue throughout San Antonio and its communities. This citywide public art program will provide a platform for veterans to express themselves and begin the healing process. 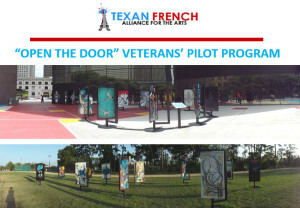 Painted on one side of the doors will be artistic interpretations of the experiences that the veterans want to share with their community, while the other side of the doors will depict the community’s visual responses to the veterans’ messages. These painted doors will be the end product of a deliberate creative process, including therapeutic workshops, an exhibition documenting the veterans’ journey, and a public art installation that will activate interaction between veterans and their community.